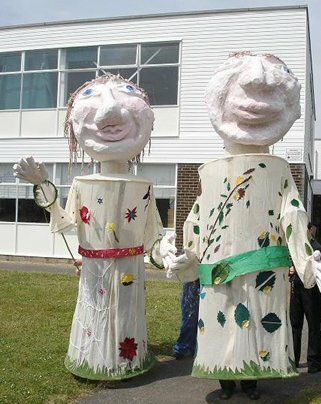 Puppets of all sizes can bring a new dimension to your performance, whether it is a school play, community play or any other theatre piece. Ballyhoo Arts can help bring a distinctive new aspect to the show. Ballyhoo has extensive experience of performance and devising theatre with young people. We can help you make the most out of the puppets you build. 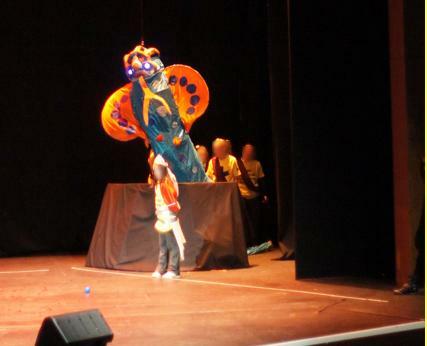 Pupils from Alway Primary School in Newport worked with Ballyhoo to devise a perfomance piece. 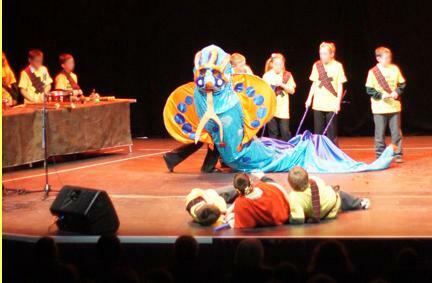 They made this giant snake monster to fit the story and performed on the stage at The Riverfront Theatre. 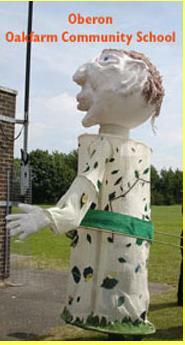 This was a SPARK project organised by The Riverfront Theatre and funded by Provident Financial.